The surface of a CPU or a heat sink is never entirely flat. 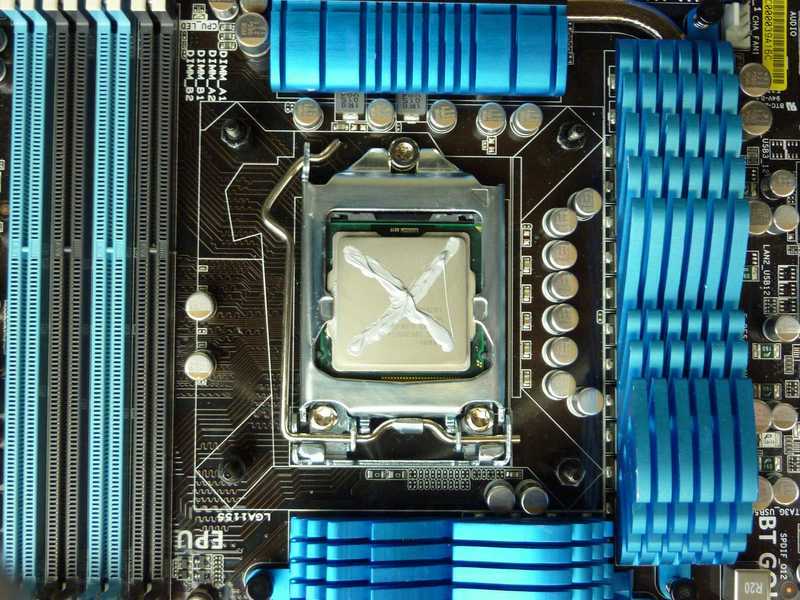 If you place a heat-sink directly on a CPU, there will be tiny, nearly invisible, gaps between the two. Since air conducts heat poorly, these gaps have a very negative effect on the heat transfer, as they hinder the rate at which the cooler is able to absorb heat from the CPU. Therefore, an interface material with a high thermal conductivity is needed to fill these gaps to improve heat conductivity between CPU and heat-sink, and here comes the need for a thermal interface material where it’s used to fill air gaps caused by imperfectly flat or smooth surfaces which should be in thermal contact. Theoretically it would not be needed between perfectly flat and smooth surfaces if that ever exists in life. In computing and electronics, thermal pads (also called thermally conductive pad or thermal interface pad) are a pre-formed square or rectangle of solid material (often paraffin or silicone based) commonly found on the underside of heat sinks to aid the conduction of heat away from the component being cooled (such as a CPU or another chip) and into the heat-sink (usually made from aluminum or copper). Thermal pads are a lot easier to install than thermal grease. Unfortunately, they aren’t as effective as a thin layer of thermal paste. Thermal pads are relatively firm at room temperature, but become soft and well able to fill gaps at higher temperatures. Some stock CPU coolers come with pads, because they’re nice and clean, and they’ll work fine. But they are one-shot solutions only. You have to replace the pad if you ever remove the heat-sink from its mounted position, because the heat of the operating CPU will have caused the thermal pad to conform the top. So, once you move the heat-sink there will be new gaps between the surfaces. So never forget: If you dismount the heat-sink, replace the thermal pad and remove all debris. If you’re installing your own CPU cooler, however, I’d always recommend thermal paste. The thermal pads usually consist out of about 95% Aluminum oxide (Al2O3) and 5% Silicone resin. The thermal conductivity is 3,5 W/mK and operating temperature from -55°C up to 200°C. For special applications, non-silicone thermal pad may be required. Most commonly seen is Acryl-based non-silicone thermal conductive pad. When applying you must first make sure that you remove the protective foil from the both sides before putting it into place. The thermal pad is very soft, therefore it is easily cut to the desired dimensions. The thermal pad should cover the whole surface, from which we want to dissipate the heat. Usually it helps if the thermal pad is a bit bigger than the previously mentioned surface. Using the right standoffs and designing makes you sure that the gap between the copper cold-plates and the cooled elements on the PCB is just right. The bottom picture shows the “healthy” thermal imprint of the MOSFETs on the motherboard after one assembly/disassembly cycle of the monoblock. When you remove the cooler you should clearly see the imprint of the edges of the elements on the PCB. When the edges aren’t visible you have no or bad contact. The contact can also be too good. You can observe that when you check if the motherboard/graphics card is severely bent in the area of the thermal pad. In extreme cases you can have a direct contact with the elements and that may lead to short circuiting your hardware. Thermal grease, thermal compound, thermal goop, thermal gunk or heat paste – thermal paste has lots of different names. It is a sticky paste applied directly on the heat-sink or CPU and the most commonly used interface material in the electronics cooling area. Thermal compound with a good quality will provide the best possible performance. Unfortunately, to apply thermal paste can be quite messy, especially if you don’t have the sufficient skill for that. Also, in rare situations, thermal paste isn’t the best way to fill bigger gaps sometimes. Here, you can use thermal pads. Thermal greases often consist of silicone compounds and must be applied in very thin layers. Because of the higher density, you must apply thermal grease with applicator and cover the whole surface of the chip. 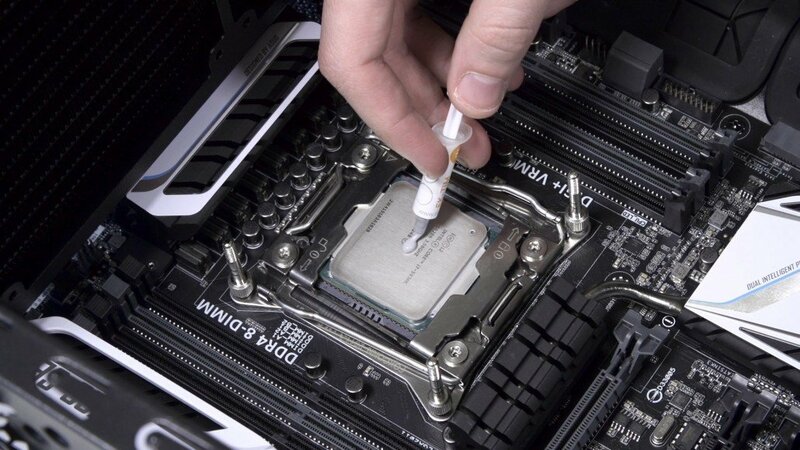 Looking around the internet, you’ll find a lot of different philosophies about how to apply thermal paste. Some people say you should apply it in a dot, some a line, some two lines, some an “X,” and so on. Truth is, all you’re trying to do when applying thermal paste is to get a paper-thin layer of the stuff over as much of your CPU as possible. For that, a dot is pretty much perfect, since a dot will squish into a circle, which will hopefully reach to all 4 edges of the CPU. If you have a brand-new computer, this step will be irrelevant to you as you shouldn’t have any pre-applied thermal paste on the processor. 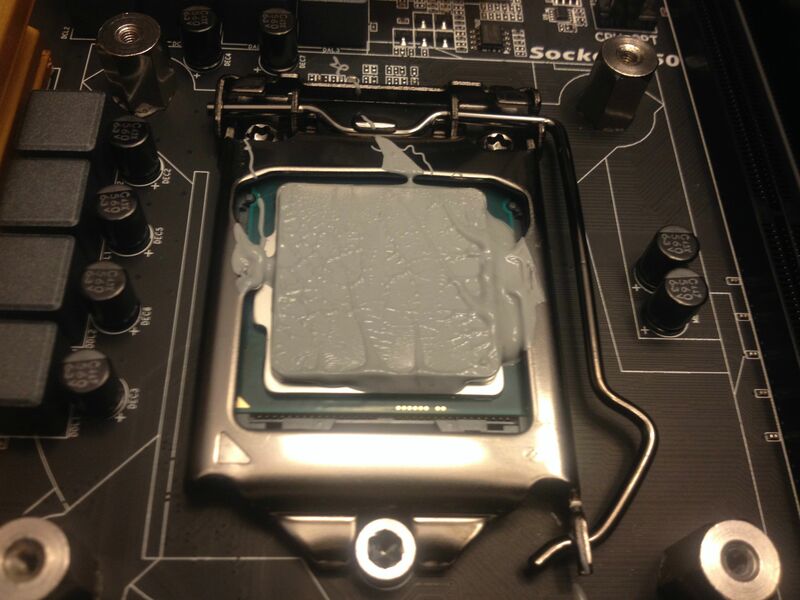 However, if you previously had thermal paste applied on your processor, you’ll want to remove it before proceeding. Before we start with the method, we would recommend that you first pick one of the high quality thermal pastes listed here. Step 1: Insert the CPU into its socket on your motherboard. Step 2: It is enough just to apply about a rice grain of the grease, depending on the chip size, on the center of the chip. The cold plate from the cooler will expand if it’s installed correctly. Step 3: Take your cooler and press it straight down onto the CPU so that the thermal paste spreads evenly in all directions. If you feel comfortable doing it, you can use a very very slight rubbing motion as you press down on the cooler to help spread the paste better. You can observe that there is a very thin layer of grease between the processor and the cold plate of the water block when they are firmly coupled. Step 4: Ideally, you’re now finished. You simply lock your cooler down (using whatever mechanism yours comes with) and then move on. Puget Systems tested 12 different techniques on thermal paste application, and concluded that the best three application techniques are: X-Shape, Smooth Spread and Rice-Sized Dot. The performance difference between these three techniques is too marginal and barely noticeable, and we prefer the Rice-sized dot technique over the rest because it is the easiest and fastest. On the other hand, they discovered that the worst three techniques are: Thick Line, 2x Rice-Sized Dot, and Thin Line. You can read more details on their published report here. There is a chance that you apply too much thermal grease on the chip. In case of very dense material of the grease and thick applying of it, can result in poor thermal performance or even severely bent circuit board, which may lead to damage on the hardware. If you’re afraid the thermal paste didn’t get spread properly, you can give it a quick look by lifting the cooler back up, twisting slightly to break the vacuum seal that may have formed. If you’ve got too much paste on the CPU, you can wipe up the excess from around the edges, and if you’ve got too little, you can add some more. Of course, if you somehow totally screwed it up, you can always clean everything up and try again. Note that we don’t recommend doing this more than once—every time you lift up the cooler, you risk adding more air bubbles into the thermal paste, which will lower you coolers efficiency. Don’t let yourself get too worried about that, though—unless you’re doing some real overclocking, it isn’t going to make or break your system. If there is too little or uneven thermal paste application, you might see a few of your CPU cores running hotter than the rest. Similarly if there’s too much thermal paste, you might suffer from bubbles between the CPU and the heat-sink, creating pockets of heat to build up. Never use thermal compounds and thermal pads together. Just because you use both, the effect won’t increase. The reverse is true. Adding thermal grease on top of a thermal pad actually reduces the ability of heat to flow to the heat-sink. Various different thermal pastes will require different applications. 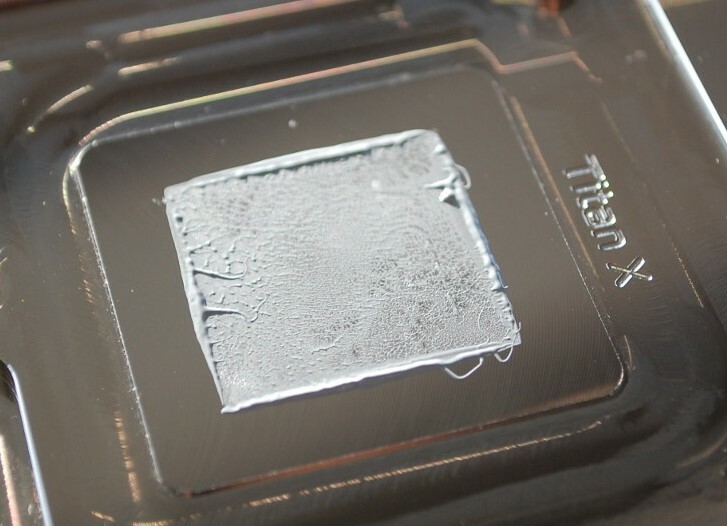 For example, liquid metal thermal paste is applied by applying an extremely thin layer on your processor (or the CPU die if you’re brave enough!). Never stack several pads on top of each other. Two or three pads on top of each other between the CPU and a heat-sink might kill the CPU. Heat management is important to consider when constructing or maintaining your computer. Too much heat can spell death for your sensitive components, and if you’re overclocking it’s even more of an issue. We can summarize that choosing the right TIM is very important. You must beware that you take the right thickness (in case of thermal pad) and applying method (in case of thermal grease). If these conditions are taken into account, you can expect your hardware to run flawlessly even at high overclocks.